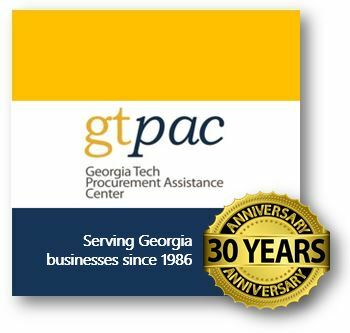 On Feb. 1, 2016, the Georgia Tech Procurement Assistance Center (GTPAC) will enter its 30th year of continuous operation, serving Georgia businesses with assistance in winning and managing government contracts. GTPAC is one of about a dozen programs – known as Procurement Technical Assistance Centers (PTACs) – that were established shortly after Congress launched the initiative in 1985. Today, there are 97 PTACs across the nation that serve all 50 states, the District of Columbia, Guam, and Puerto Rico. GTPAC’s continued operation is possible based on a 50-50 funding match between the Defense Logistics Agency (DLA) and state funding made available through Georgia Tech’s Enterprise Innovation Institute (EI2). On Jan. 22, 2016, GTPAC received a fully executed award document from the DLA ensuring that funding would be made available to Georgia Tech for another year of PTAC operations in the state of Georgia. The Georgia Tech program is recognized as a PTAC with one of the strongest track records. Last year, GTPAC was ranked as one of the top five programs in the nation by the Association of Procurement Technical Assistance Centers. On average, GTPAC helps Georgia businesses annually win between $500 million and $1 billion in government contracts. In calendar year 2015, GTPAC’s clients won 3,618 government prime contracts and 613 subcontracts worth a combined total of $1.2 billion. GTPAC counseled, instructed, and provided bid opportunities to an active client base of 2,500 businesses across the State of Georgia last year. 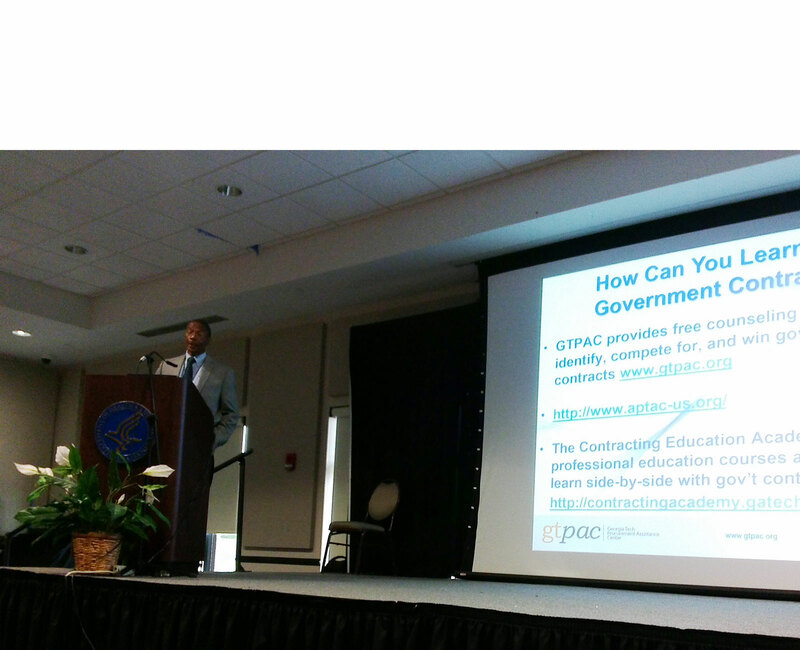 GTPAC also conducted 126 classes and participated in 33 events statewide where more than 6,000 business people received instruction on how to effectively compete for government contracts. In all, GTPAC staff members conducted 6,339 counseling sessions with Georgia-based small businesses in 2015 as well as 262 counseling sessions with large businesses. GTPAC maintains staff in Albany, Athens, Atlanta, Gainesville, Carrollton, Savannah, and Warner Robins. All businesses in Georgia are eligible to receive GTPAC’s services at no cost. The program provides Georgia businesses with counseling, training, and a complete set of electronic tools to research and identify government contracting opportunities. For contact information, and to register for any GTPAC workshop statewide, visit the program’s website at www.gtpac.org.